In the three months since our last productive visit to the marshes and the regional Directorate in Nasariyah, jihadist forces have entered Iraq from the Northwest and threaten control of the Northern sources of the Tigris and Euphrates Rivers. A new central government is almost in place. Whatever the outcome, Southern Iraq up to this point is holding its own and proceeding with business as usual. Jassim Al Asadi, Director of the Nature Iraq office in the marshes assures us that the Dhi Qar Governate is in the midst of conducting Economic Feasability and Environmental Impact studies that are necessary in order to proceed. Our team meets regularly on skype and will be ready with a design. Part I, Photosynthesis, the subject of this small exhibition, includes images of trees and people exchanging oxygen and carbon dioxide throughout the seasons, in a post-Edenic and threatened relationship. Presented not as a timeline but as a natural cycle of life, death and rebirth, human beings and nature are visualized deeply connected and existing in a true, if threatened, symbiosis. Part II, The Volcano Cycle, explores volcanoes from Indonesia’s Ring of Fire that evoke earth, climate change and human co-evolution. Here the destructive forces of Nature are observed to be regenerative. 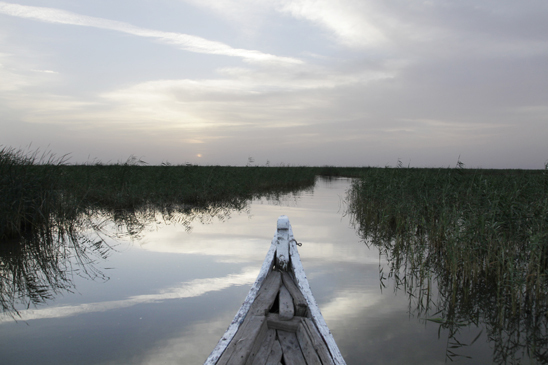 Part III, Eden in Iraq, is set in the marshes of South­ern Iraq, a site said to be very near to the original Gar­den of Eden. Here Meridel is co-designing a wastewater garden/memorial site that aims to transform relics of war and destruction into art. 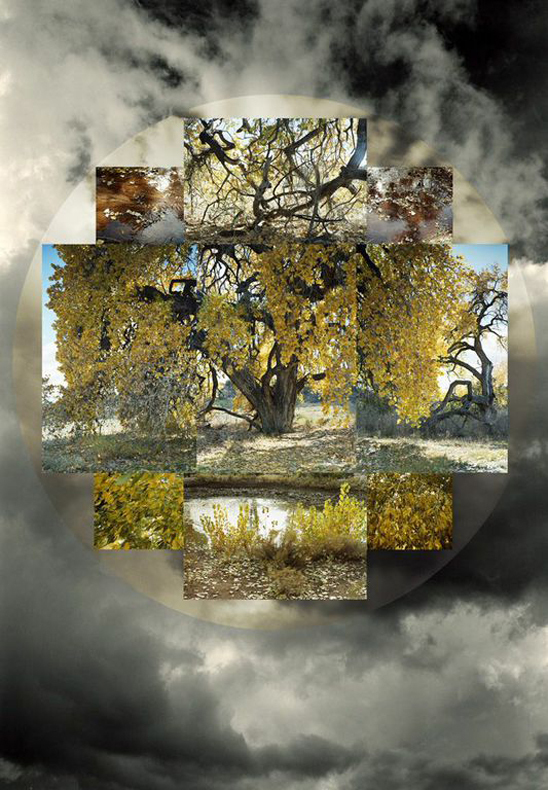 David Richard Gallery, a contemporary art gallery in Santa Fe, specializes in post-war abstract art including Abstract Expressionism, Color Field, geometric and hard-edge painting, Op Art, Pop Art, Minimalism, Feminism and Conceptualism in a variety of media. Featuring both historic and contemporary artwork, the gallery represents many established artists who were part of important art historical movements and tendencies that occurred during the 1950s through the 1980s on both the east and west coasts. The gallery also represents artist estates, emerging artists and offers secondary market works.